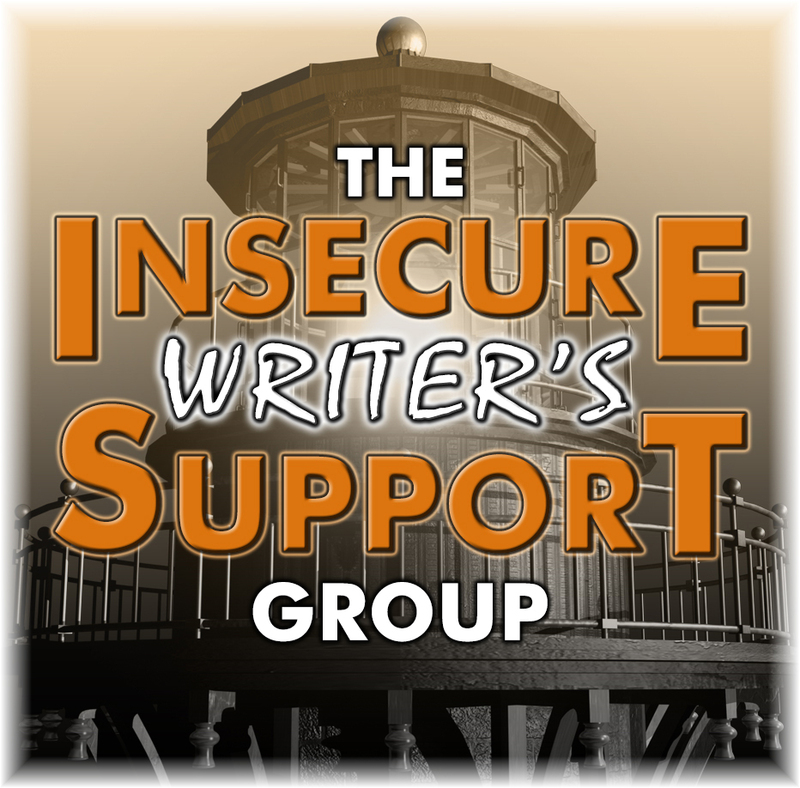 It is the weekly meeting of the IWSG (the insecure writers' support group) and here I am - still writing, still insecure, still hopeful, still needy! If you are any of these things do go to the link above and join up - it is a lovely group! 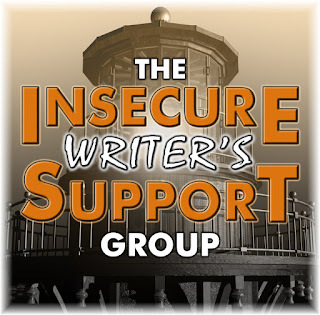 Today, the optional question is "what five things might we find in your writing spot?" or something close to that. 1. My computer - for I do not write with a quill pen on paper that scrolls. When I was in grade nine I took typing as I planned on being a writer. I got 50 as my mark. Why? Because I would only learn to type, not to set margins and acquire proper formatting for business letters. I planned on only writing with the thing. I loved it. I love a keyboard. I love how my fingers can fly nearly as fast as my mind. I loved the first electric typewriter I ever used and then I remember an exquisite joy when I first laid my fingers on the keyboard of a Selectric Typewriter (born in 1961 - ten years younger than myself). Oh my gawd that was heaven with its lovely quickly revolving ball of type. It is no surprise that the masthead of this blog is a typewriter - from a photo I took of a machine in the ancestral home of Elizabeth Bishop (fabulous poet) in Great Village, NS. 2. A white mug with CHAP printed on its side - full of pens and pencils and scissors and nailfiles and bits and pieces. It was given to me by my gestalt teacher, Rod McLean, who had been a chaplin in the forces. I adored that crazy, difficult and brilliant Cape Bretoner and it wouldn't be my desk without that mug. 3. A binder for the novel I'm trying to sell. In the binder are sheets on which I record where and when I send the manuscript and the responses I get. I know it might be better to have something on the computer but I like it in hard copy. I do forget even so and send it to some agency that I sent it to four years ago but hey - no one seems to notice. I also have a set of stapled sheets for the poetry I send out. 4. A constant flow of papers that I need to deal with. For instance, I have a letter that was typed out by a fella to my mother in hopes of getting a date with her. The paper has the heading of the Canadian Pacific Railway Company and is actually a file or claim form (form 102) and was sent to her on April 12th, 1938. She would've been 21 years old. I have it out because, since we came back from Labrador, I've been sorting treasures and junk. This is a treasure, as is my letter from writer Pamela Frankau which I've already discussed in this blog. 5. A bookcase full of writing books. No matter where I write there are books that I need handy - Bird by Bird by Anne Lamott, Brewar's Dictionary of Phrase & Fable, Francine Prose's The Artful Edit and about fifty more. It includes inspirational writing and references that always come in handy, even in the age of google. Google is sort of like fast food - it will perhaps suffice to fill me up but I would like a more nutritious meal. I have Cirlot's dictionary of symbols and the Concise Medical Dictionary and so on. I have a room of my own to write in, but that is not always the case. It is also my shrine room, so also has my dharma books and my shrine plus paraphernalia. The walls are orange and there is a shelf that is part of the wall that goes around two sides of the room that holds paintings and sculptures and dolls and vases holding feathers and so on... I love having my own room. Oh, and I do not draw or paint here but do that upstairs in the dining room. How about you? Where do you create? What do you need at hand? Despite all those papers, at least your submissions are organized in a binder. NaNo 2010 forced me to write solely on the computer and now that's the only way I write. Hello, Jan. Sounds like you're describing my desk, down to the nail files and binders. I remember the joy of writing on an IBM Selectric after learning to type on clunkier models. Oh, the merry clickety-click, the speed at which I could erase my boo-boos. Not that I'd ever go back to a typewriter, but I do love me a good keyboard. Wishing you happy writing in December. I'd say when I'm not in my "neat" season, my desk looks a lot like yours. My writing books are parked out at another computer though. I used to have a summer desk and a winter desk, but I've morphed to only one. My former "summer desk" has more room to store books and papers, so I keep them there. And why seasonal? One room is warmer than the other and it's miserable to try to type with cold hands. Thanks for sharing what you have in your writing space, Jan. I've got a room of my own for writing, too, and it makes all of the difference! It sounds like you have a lot of the same things as I have. The exception is the love letter. Although, I do have old pictures. Gotta love a dedicated writing room. I don't know what I'd do without mine.